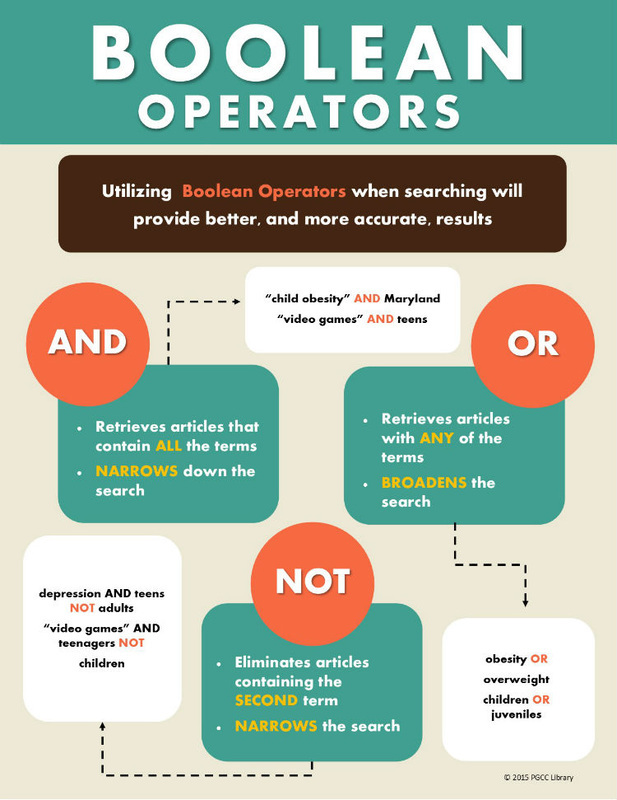 Boolean Operators are used to connect and define the relationship between your search terms. When searching electronic databases, you can use Boolean operators to either narrow or broaden your record sets. The key to being a savvy online searcher is to use common search techniques that you can apply to almost any database, including article databases, online catalogs and even commercial search engines. This is important because searching library databases is a bit different from searching Google. The techniques shown here will enable you to quickly retrieve relevant information from the thousands of records in a database. When you search a database and do not get the results you expect, ask us for advice. Library staff are happy to help you find what you need.